When choosing a keynote speaker for the UITP Summit, a great deal of thought is put in to selecting the best person to engage, inspire and entertain our members, delegates and guests. In Stockholm, our gathered audience will be drawn to find their mobility artist within when leading Artist, Author and Animator Christoph Niemann takes to the stage. 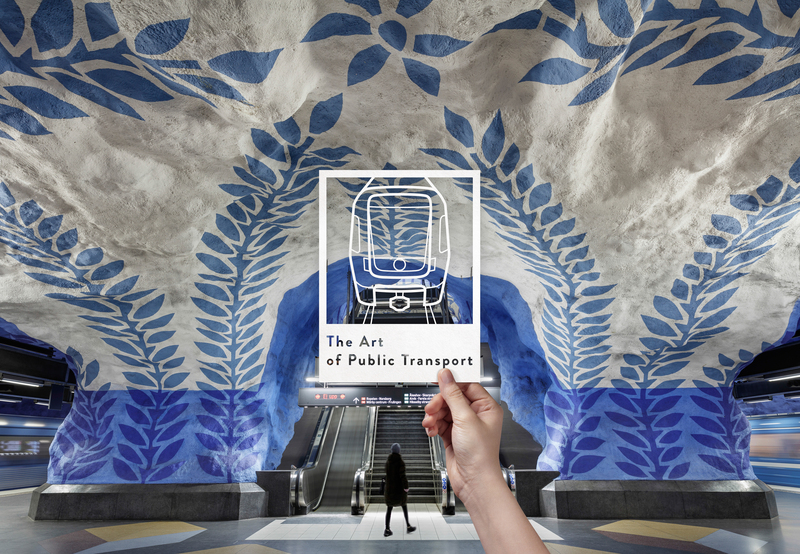 We have had artistry on our minds ever since our 2019 Summit theme ‘The Art of Public Transport’ flew from the sketch pad to first stroke of design…and now with an inspiring and original talent in Christoph Niemann, our hopes and vision for Stockholm are on course to meet a photo finish. The reason so many inspiring quotes about art exist, is because it can be found wherever we look. It takes on many different forms – it is also the reason we can find art in the perfect urban journey. When selecting our keynote speaker, we set our hearts on finding an artist who could inspire our audience and engage our theme. With Christoph Niemann we have all of this, alongside a man with serious love for our sector! Christoph has a genuine interest in public transport, regularly finding artistic inspiration in moving around our cities. This came to life when Christoph designed a mural for the train station in the Berlin suburb of Wannsee. With his work gracing the covers of The New York Times Magazine, National Geographic and The New Yorker, Christoph is a member of the Alliance Graphique Internationale and in 2010 was inducted into the Art Directors Club Hall Of Fame. Christoph’s inspired work is also subject of an episode of Abstract, a Netflix original series and a TED Talk. Also an author of several books, including the monograph “Sunday Sketching” (2016), WORDS” (2016) and “Souvenir” (2017), Christoph created The New Yorker’s first Augmented Reality Cover as well as a hand drawn 360 degree VR animation for the magazine’s US Open issue. Christoph’s talent will be on display as we all becomes mobility artists under the theme ‘The Art of Public Transport’. Constantly evolving, public transport is defined by the needs of a city and designed by experts looking towards the future. We are all visionaries in this sector, and as we build connections and provide services to create a culture that brings people together, we can find inspiration in many different art forms. The work of Christoph Niemann will show us that a craft can truly move you, no matter what the field: this is the Art of Public Transport. We’re delighted to welcome Christoph to the UITP Global Public Transport Summit family! We encourage all of you to view his work, get inspired and make the journey to Stockholm this June for the biggest event in public transport and urban mobility worldwide. Read more about Christoph, our artistic theme and the thoughts of our Secretary General Mohamed Mezghani in our official keynote speaker press release! Has our announcement spiked your artistic interests? Then register to see Christoph live on stage alongside thousands of your fellow international mobility artists!